Homepage. 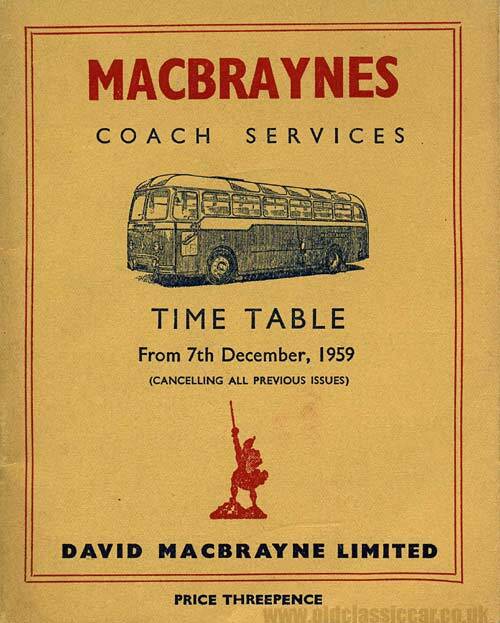 This page: A timetable issued in the late 1950s by the David Macbrayne owned coach company in Scotland. Despite being of Scottish origin, this small bus/coach timetable actually turned up in a small bookshop in Wales. It dates to 7th December 1959, and is in great condition. 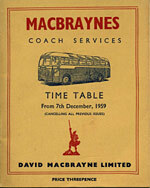 It was issued by David Macbrayne Limited, for his Macbrayne's Coach Services - cost of the timetable, threepence. On the cover is an illustration of one of their coaches, which I think is an AEC Reliance, with bodywork by Duple. 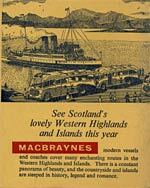 On the back cover is a nice illustration showing two coaches collecting passengers from a ferry of some type. They look like Bedford Duple Vegas to me, but someone out there must know for sure? 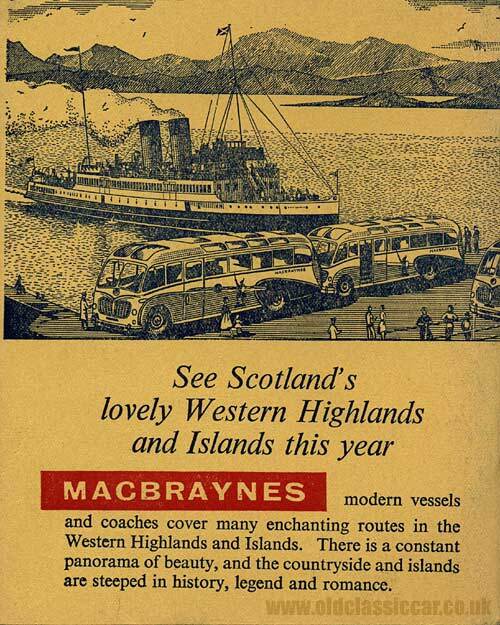 Inside both covers is an illustration of another Vega coach, advertising that you could 'Hire a Macbrayne Coach for your outing' - suitable for theatre parties, wedding parties, social clubs, guild outings, works outings and sports outings. 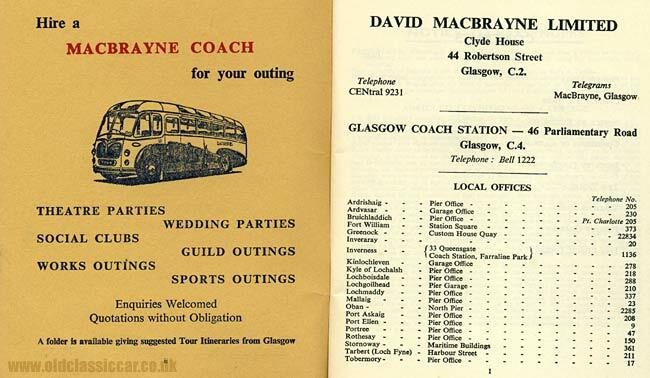 David Macbrayne Limited was based at Clyde House, 44 Robertson Street, Glasgow, and the coach station at 46 Parliamentary Road, again in Glasgow, with smaller local offices in many towns in Scotland. The remainder of the timetable outlines, as you'd expect, their various services and coach times, along with details of fares and parcel costs. Return to the motoring collectables page for more one-off items that relate to transportation. A separate website dedicated to former Macbraynes coaches that have made it into preservation, can be seen here.